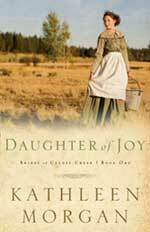 Daughter of Joy by Kathleen Morgan (Brides of Culdee Creek, Book 1): Currently free on Amazon Kindle and at ChristianBook.com. Looks like a good one, a beloved classic! Remember, you can read these free books on your computer if you don’t have an e-reader. These classic historical romance novels are getting a new look for the next generation of readers. But the wonderful stories remain the same, as touching and fresh as they were when first published. Don’t wait! Who knows how long it will be free!